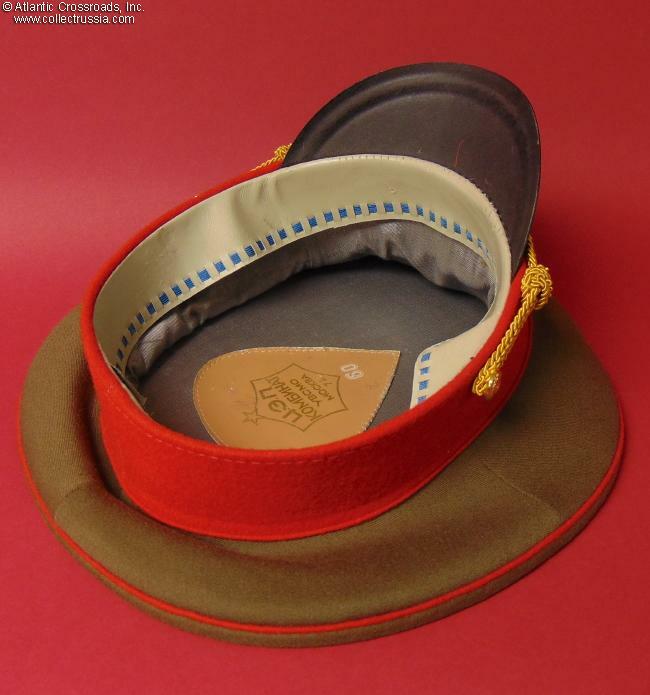 Army (Land Forces) General service visor hat, dated 1974. 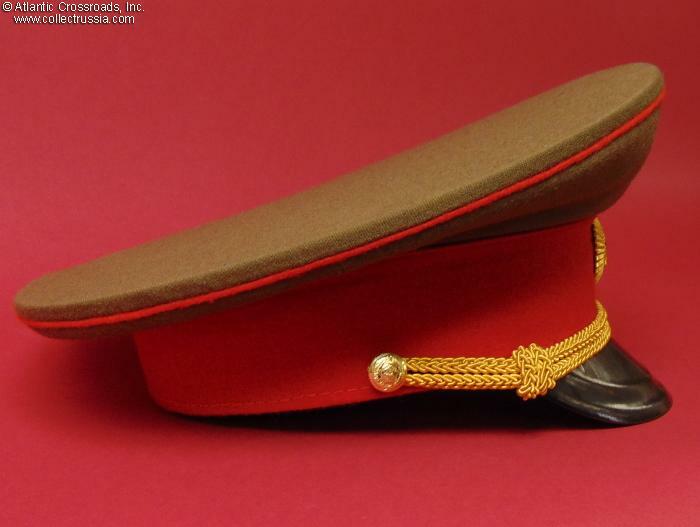 In olive drab gabardine, with scarlet cloth band, gray satin liner. Style with medium size crown. Gold chin cord. 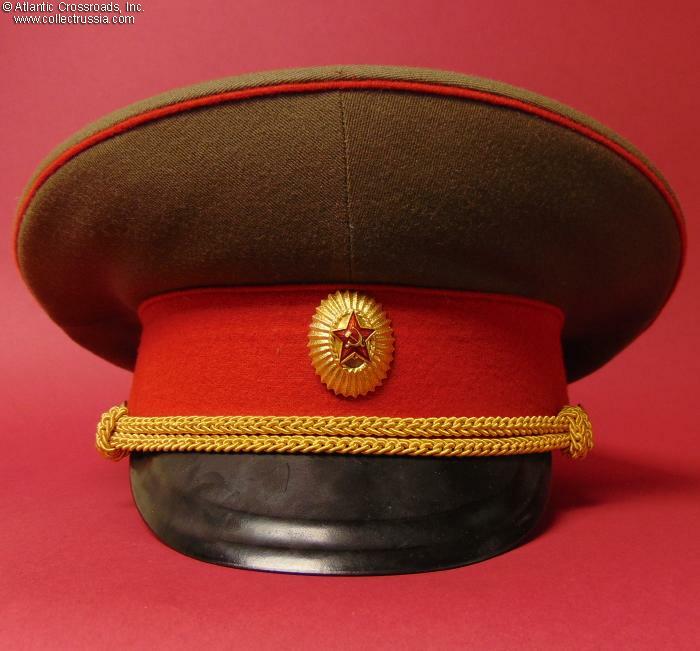 The hat badge is the correct style for generals: two-piece construction, in aluminum and paint. 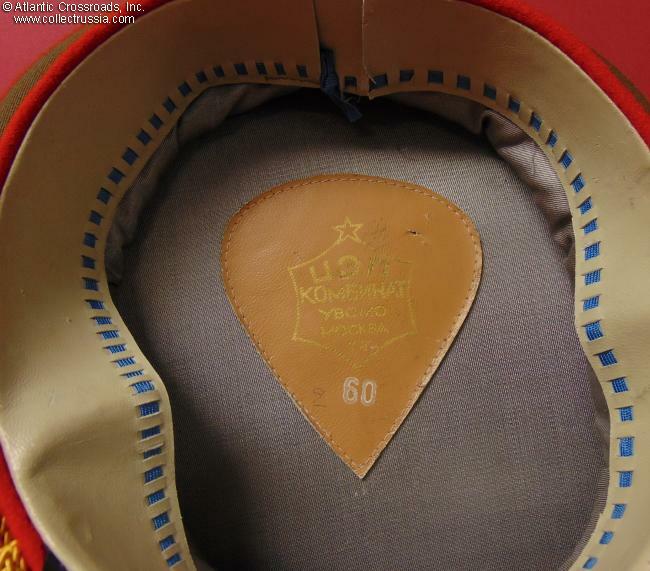 The sweat label of the Moscow TsPK maker is of relatively early style and shows a 1974 date as well as size 60 (large, approx. US 7 ½). 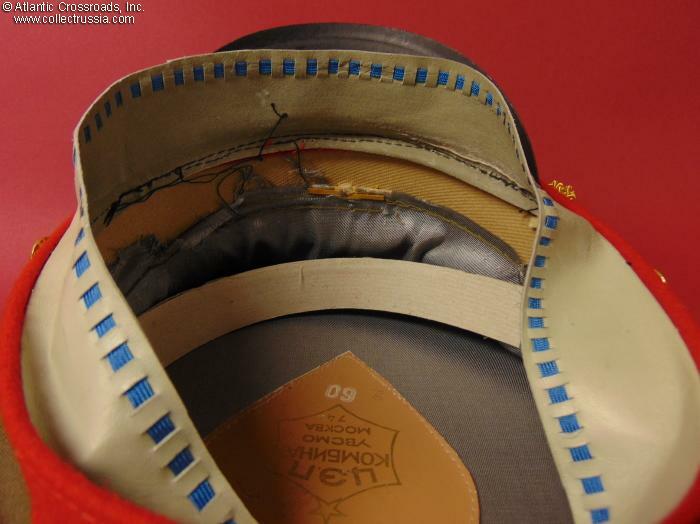 Real leather sweatband, perforated to accept a sky blue drawstring for an adjustable fit. In excellent condition. 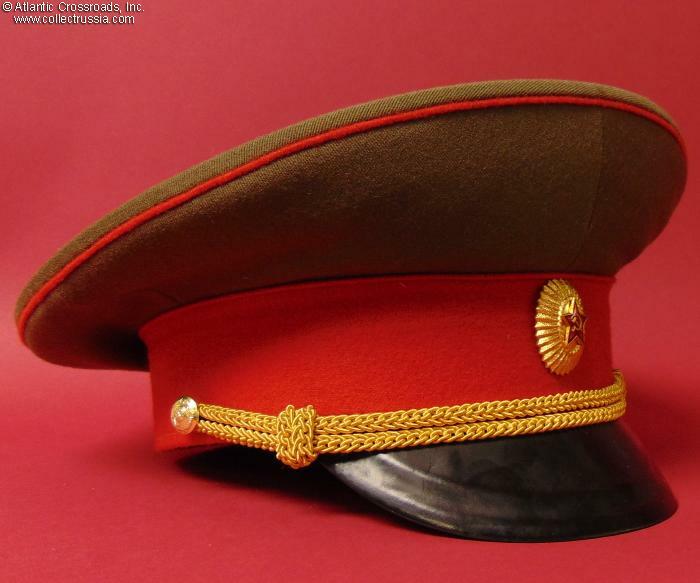 The hat is completely free of moth bites or trackings. 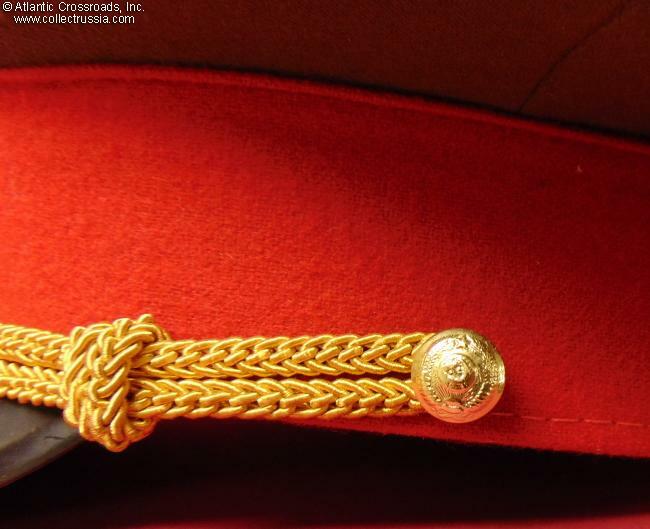 The crown is almost pristine having only a couple of tiny snags to the olive drab gabardine fabric on the top that are nearly unnoticeable, while the red piping and band are absolutely perfect. 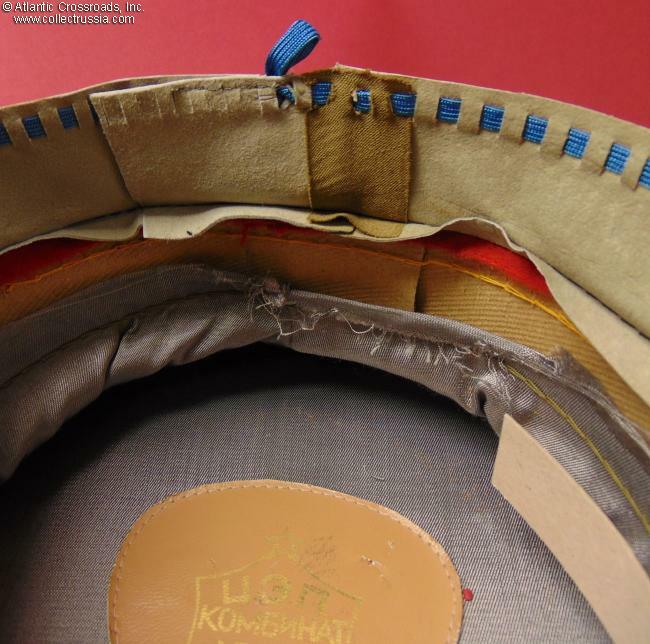 The visor is firmly attached, and the hat has kept its overall shape perfectly. 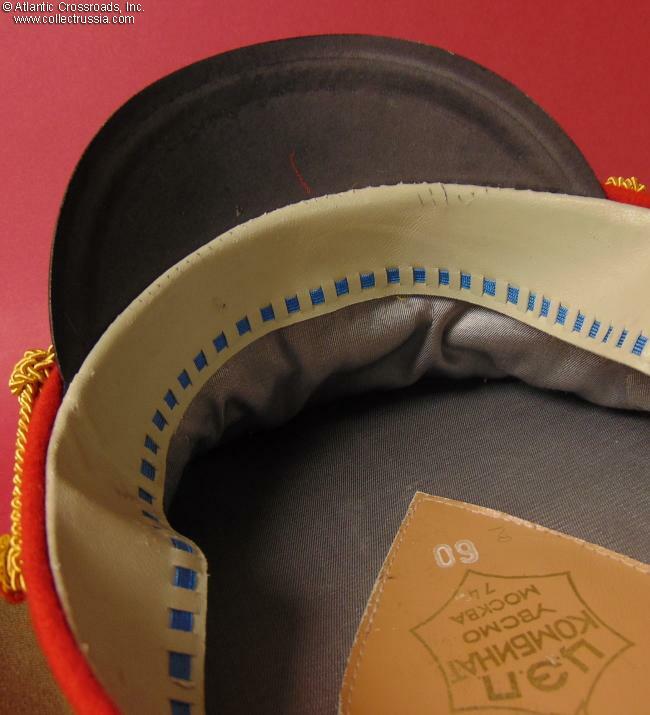 There is modest amount of wear to the sweat band and label, but the entire interior of the hat remains immaculately clean. 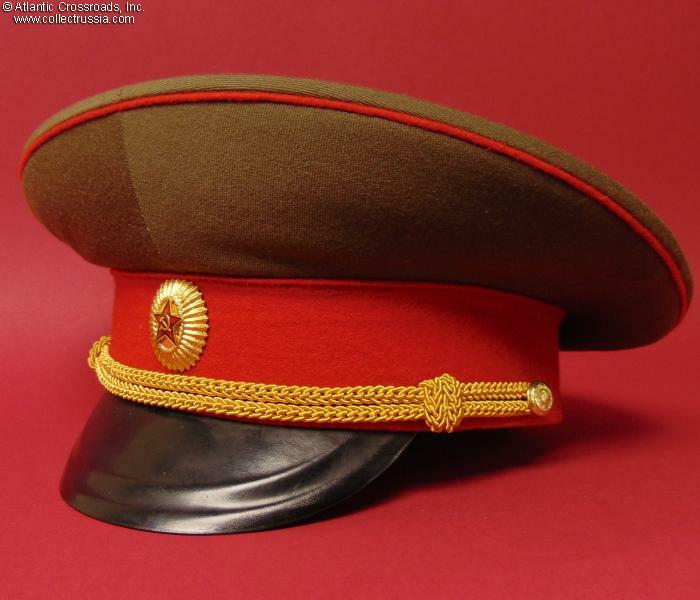 While somewhat "plain", this style of general's hat is of interest because it was soon replaced by caps with gold embroidery on either side of the wreath.